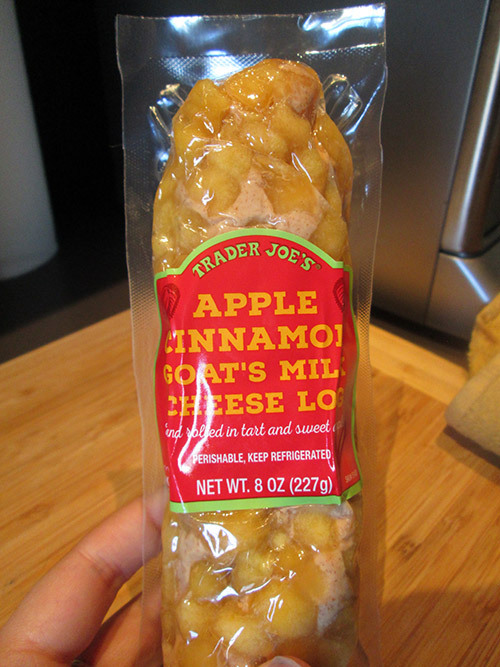 I’m a big fan of goat cheese, especially with dessert type flavors, so I was excited to see this Apple Cinnamon log at TJ’s. 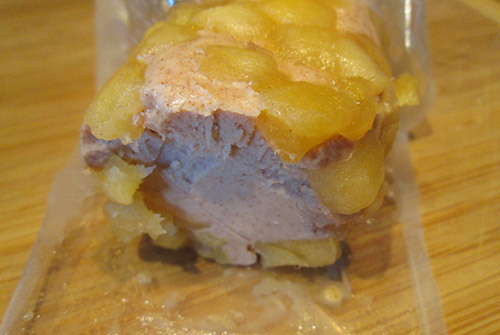 It has a good flavor, with the cinnamon mixed throughout the cheese instead of just on the apples. 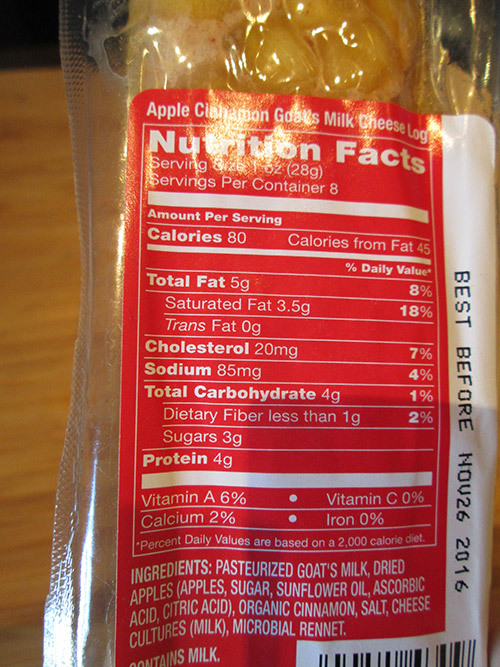 The cheese is a little on the sour/acidic side, which seems to be especially noticeable next to the sweetness of the apples, but the apples give it a nice sweet flavor. It goes great with cinnamon pita chips. Overall, I liked this, but I’m not sure I would get it again since I definitely like the blueberry version of this way more.